It has been confirmed to me that Pope Francis is bigger than the Rolling Stones. Well, a woman in a shop told me so earlier and Fr Lombardi (the Pope’s spokesperson) said that the people in his hotel had said the same. Phew, what a relief. An estimated three million people turned up for today’s World Youth Day closing mass on Copacobana beach (yes, more than when the Rolling Stones played a few years back). But is it really about numbers? No, said Fr Lombardi this afternoon. What really matters is how deeply the message of WYD penetrates. 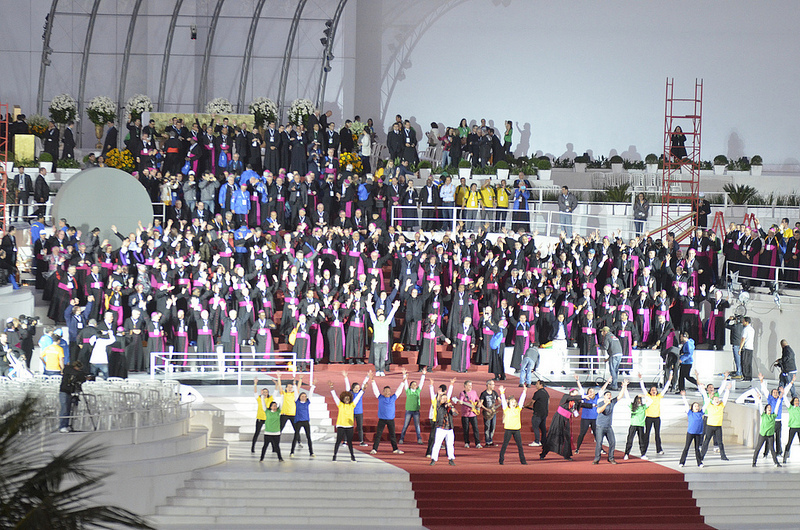 World Youth Day gave a crash course in companionship to anyone not used to being with others. Last night millions packed on Copacobana beach to take part in an all night vigil. Many of them took their sleeping bags and slept there. The atmosphere in Rio has been electric over the past few days. There’s a real sense of energy and possibility. Pope Francis takes some kind of magic with him and melts hearts wherever he goes. Pope Francis will fly back to Rome (and a 40 degree heatwave) this evening and Rio will be given back Copacobana and start to return to normal. In the meantime, Krakow better get cracking to find spaces big enough to host millions of pilgrims, because that’s where the next World Youth Day will be in 2016.